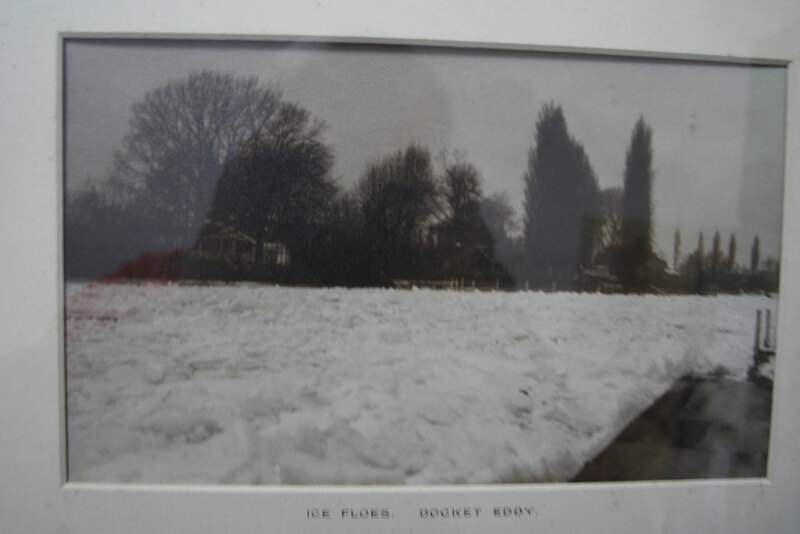 For some time now, my good friend Peter Bailey at the Sunbury and Shepperton Local History Society has been reminding me that in the society’s Aladdin’s Cave of treasures about the history of the river and the surrounding area, they’ve had these four photos of the Thames frozen over in 1940. I SUPPOSE you could say that this Riverwatch is two or three weeks late – and I’ve got no one to blame but myself for that. I’ve been meaning to get over to see Peter to take a look at them for a while – and with the recent spell of really cold weather, it would have been the perfect time to write an article about them. So, of course, when I do finally get over to see them on Saturday last, the temperature has jumped from minus three to 10 degrees centigrade, the snow’s all melted and the sun is positively splitting the sky. Nothing if not timely, me….! Notwithstanding that, I just had to share these amazing photos with readers. They were apparently taken in January and February 1940 – with the Second World War taking place and the whole country unsure of what was going to happen next. But they do show very vividly that it was a whole lot chillier then than we’ve just experienced. 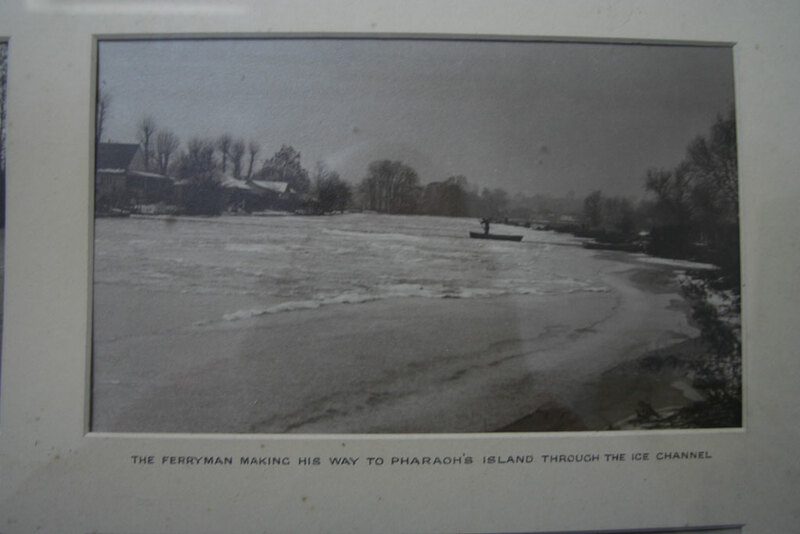 These photos were all taken in the area just upstream of Shepperton Lock around Pharoah’s Island and they show the river completely frozen with jumbled blocks of ice covering most of the surface. 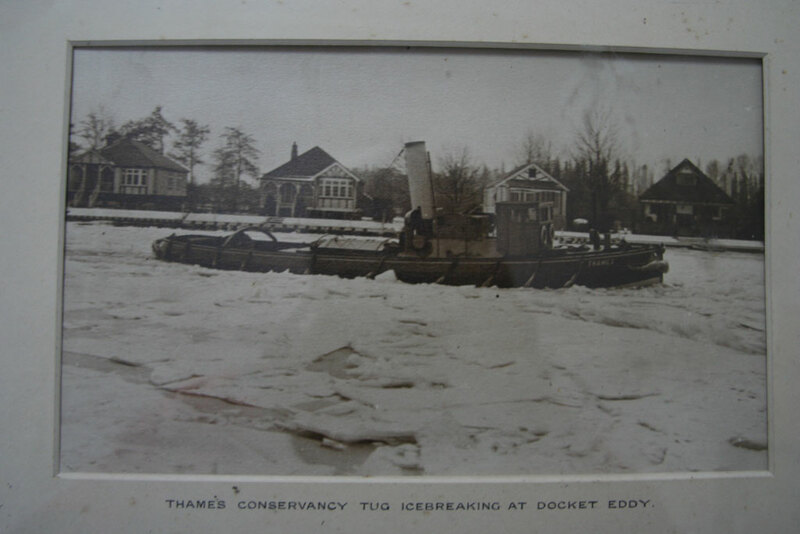 I think my favourite just has to be the one of the Thames Conservancy tug battering it’s way through the thick ice just by Docket Eddy. That must have been a fairly unenviable task for the crew of the boat – but an essential one if the river was to be kept navigable. 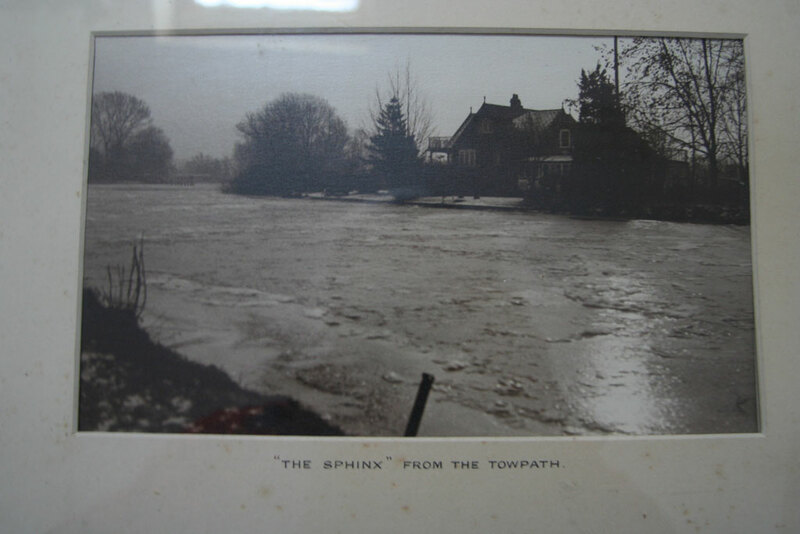 These photos – there are four of them altogether – were donated to the Sunbury and Shepperton Local History Society by a Mr J Dickens in 1992 – but there’s no record of who took them originally in 1940. Apparently, they used to hang in the Thames Court Hotel – so I wonder whether anyone of the current staff at the pub or even long-term customers might know the background? If so, do please give me a call on 07760 361106 or email me at mort.smith@trinitymirror.com and let me know.